Living photoreceptor systems modify their behavior to light stimulation. After exposure to light, their sensitivity decreases and this is accompanied by a speeding up of responses and an increase in space-time resolution; in darkness the entire process is reversed. 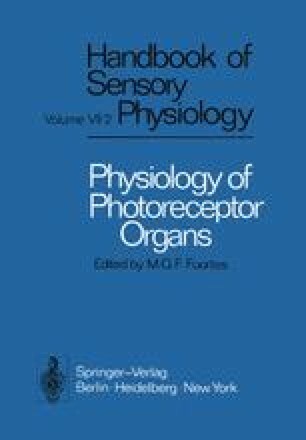 These changes, called light — and dark — adaptation have evolved to optimize the function of visual receptor systems in an ever-changing external world so that they can enhance sensitivity at the expense of spatial and temporal accuracy when light energy is scarce or do the converse when energy is abundant.